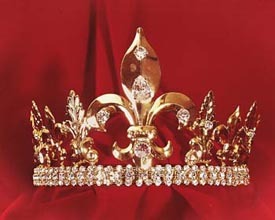 Gold Fleur de Lis Crown with leaf accents and large rhinestone accents. The band of the crown features a rhinestone encrusted band. 4.5" High.